Like shopping? Want to help the hungry? 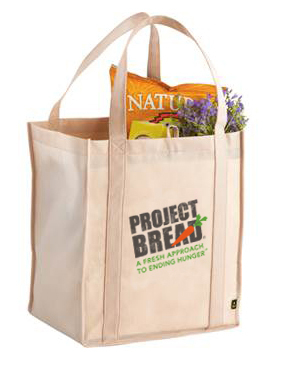 Purchase some fun Project Bread gear and help us fulfill our mission of ending hunger in Massachusetts at the same time. Shop for Walk for Hunger items such as T-shirts and water bottles along with eco-friendly Project Bread tote bags! 2014 Walk gear ordered in February will be shipped in early March!